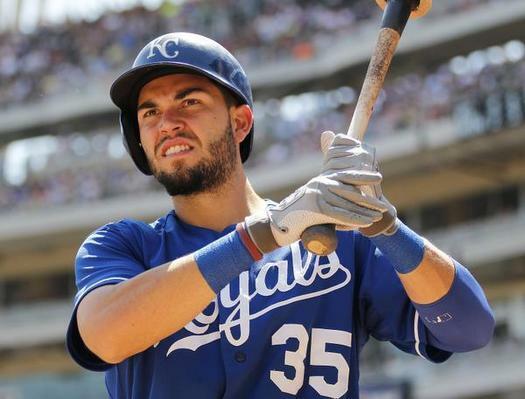 What is 1B Eric Hosmer Worth? This article began as a commentary on the slow free-agent market in MLB, and soon metastasized into a serial edition. 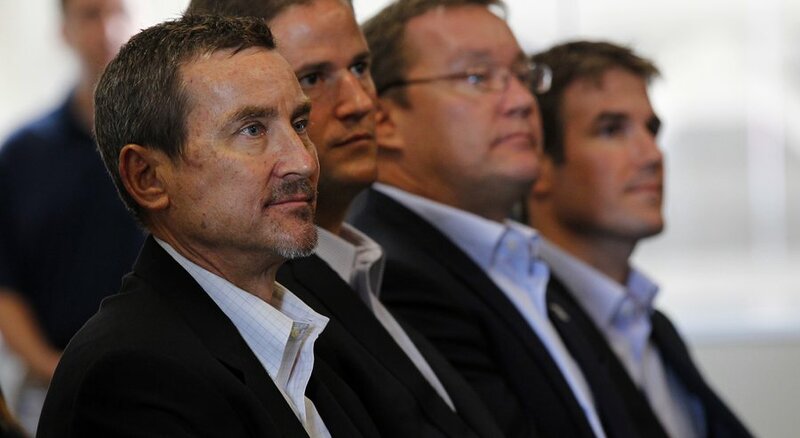 It’s still in-progress, as it has become a serious labor & political issue for players & fans. The latest updates are at the end. In 2017, Hosmer had a career year, good for 4.0 WAR. I postulate that one win should cost $5-6M in today’s MLB free agency, and that you can never assume more than 4.0 WAR for any player. That means $20-24M/year is the free agency annual maximum, and this $1M/year ‘wiggle room’ is dependent on market size, competitive window, television deals, and other franchise considerations. Keeping the free agent cost/win locked in at $5-6M makes sense, because it’s the fans who pay for the game, and too many can’t afford the current rate of star player salary escalation. 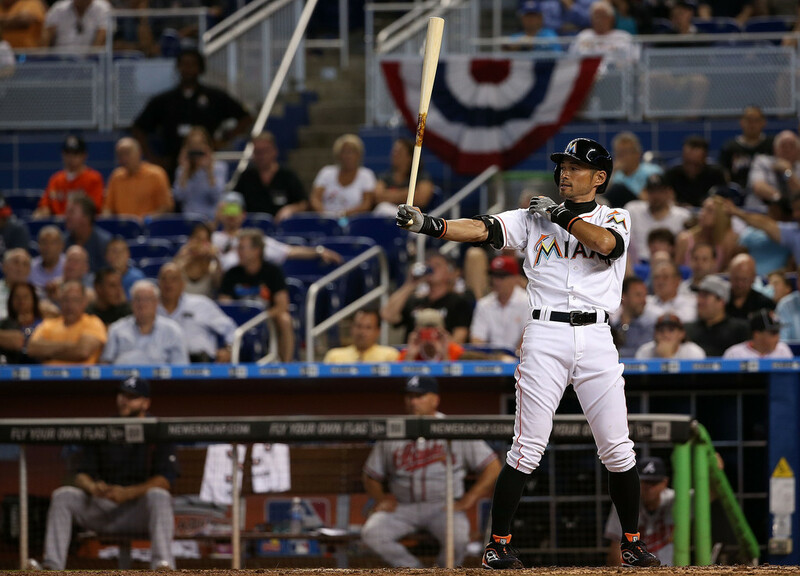 MLB has reached it’s ceiling with many, many fans. 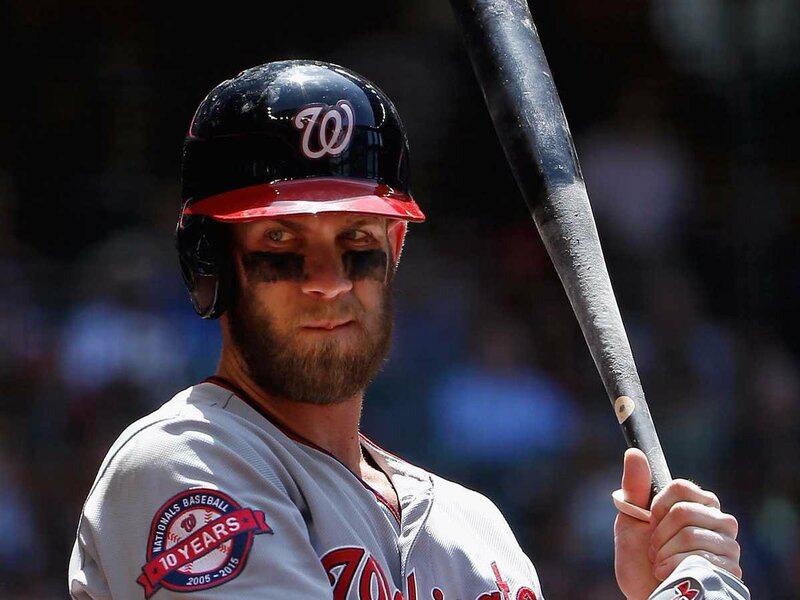 I believe even RF Bryce Harper & LHP Clayton Kershaw are in for rude surprises next winter, as any more $300M deals (Giancarlo Stanton) have been ruled out, and probably even $200M will be criticized as an overpay. It’s the length over 4 years that kills organizations, and their fans recognize this & don’t like it. That’s why you have so much antipathy towards Scott Boras & the rest of these “super agents.” Fans can now do their own research, and often form better arguments than these high-powered lawyers. This tells you what Boras & Co. are really worth, and also that their influence (at this point) is entirely dependent on connections, instead of brains. With all this said, Eric Hosmer is worth 3/$48M to the SD Padres, with an option year and $1M buyout, as he’s probably worth ~3 WAR/season over that deal. This also would keep the Friars under the $50M cap for forfeiting their second round draft pick, next June. 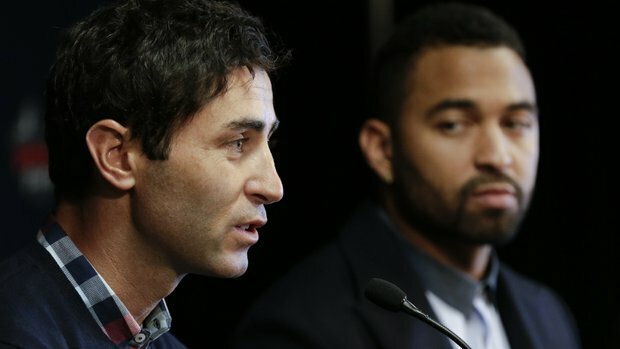 These draft picks are EXTREMELY valuable to franchises today, and GM AJ Preller would prefer to draft another young arm, versus giving that selection to Kansas City in compensation for signing Hosmer. If the Padres have to go over $50M & 4 years for Hosmer (most likely), then the average annual value (AAV) of the deal is lessened to say 5/$65M. Why? To make up for the cost of losing that draft pick. Otherwise, it’s an overpay. 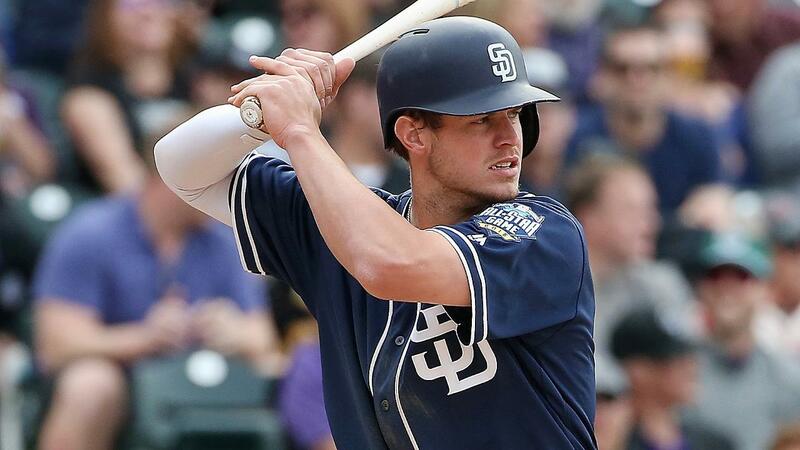 Ideally the Padres would move Wil Myers to LF for 3-4 years, after which he will (most likely) need to move back to 1B. Anything <$100M for Eric Hosmer doesn’t cripple this franchise in 2019, or beyond. 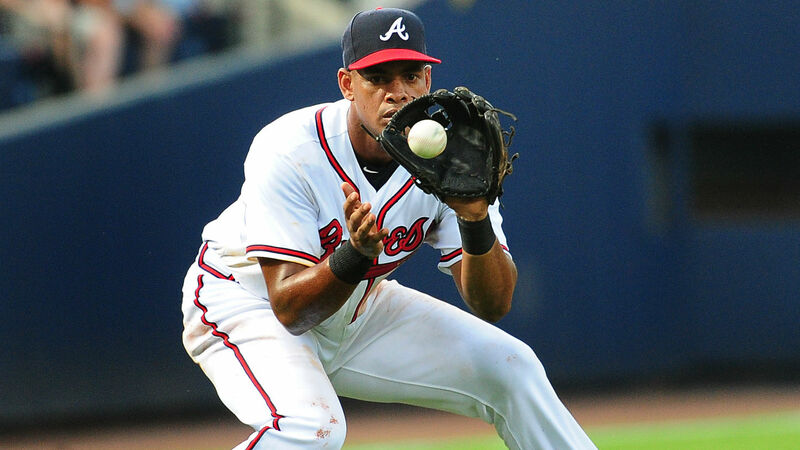 It would add a great defender with good OBP to a line-up that desperately needs it. In other words, from age 28-30 he’s a winning piece, but not the entire answer. From age 32 on, he’s a liability at anything over $10M/season. There are new rules now in MLB free agency, since the current deal was ratified over a year ago. Signing qualified free agents can now force teams to forfeit international bonus allotments. The hard cap on international spending is new to the 2017-21 CBA. Also, exceeding the luxury tax by a wide enough margin will eventually cause teams to see their top pick pushed back 10 slots. The new CBA also added surcharges of 12% & 42.5% for exceeding the CBT by $20M & $40M, making $197M a hard team payroll cap for all intents & purposes . With all this, the MLB owners have effectively found a way to de-incentivize signing top-dollar free agents. 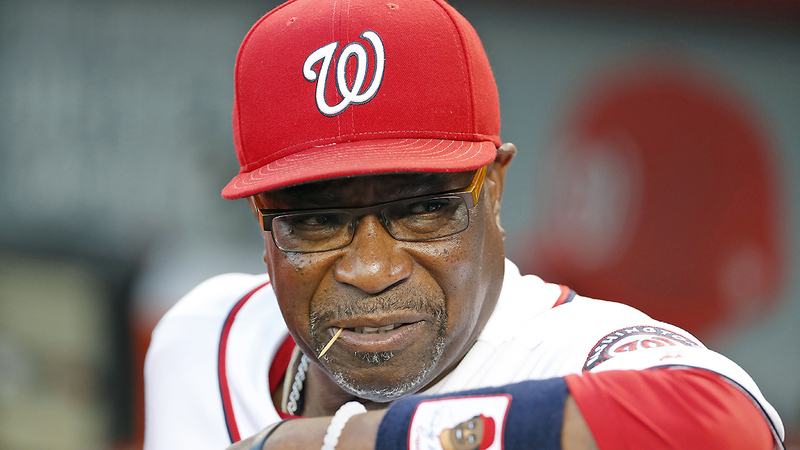 It can’t be properly labeled collusion, because the MLBPA agreed to these rules. This only proves that MLBPA executive director Tony Clark and the rest of his cohorts are incompetent puppets in the hands of ownership and its MLB commissioner’s office. The vast majority of MLB players (at any time) are arbitration or pre-arb, and are unaffected (for now) by this slow FA signing season. Therefore their unity & readinesses to strike is virtually nil. Until something is proposed to increase pay for the majority of the players at the bottom of the MLB pay scale, then the players will remain divided & helpless. 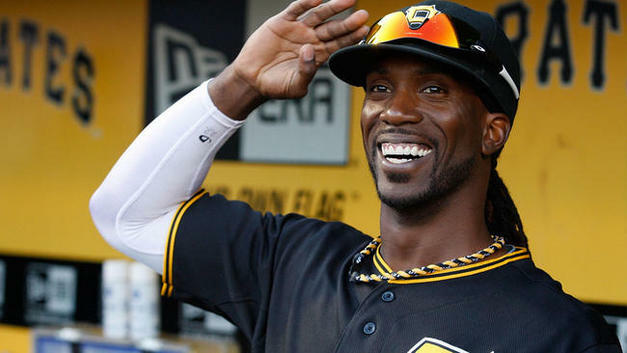 The problem for most professional baseball players are their sellout ‘representatives’ occupying the union leadership, working in collusion with ruthless ownership negotiators. 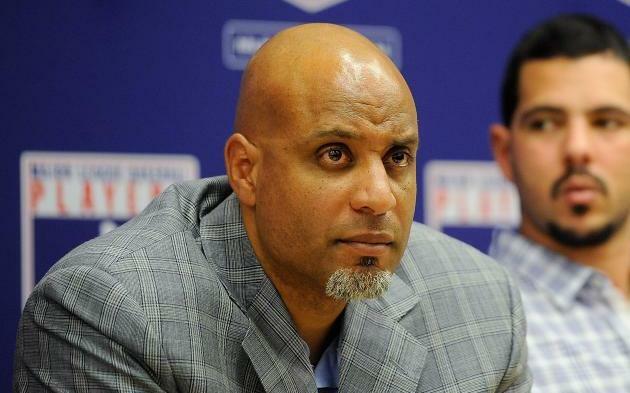 The MLBPA did nothing in the last round of CBA to help the players. Recall this was a historic negotiating session, as new rules for the international draft & free agency (as always) were on the table. Ownership set the framework for all the negotiations, as everything pertained to caps on spending. For instance, in 2016 AJ Preller & the SD Padres broke the bank in international free agency, spending ~$75M and reaping an unprecedented talent haul. Now that can’t be done, as the cap is <$15M. The owners rigged MLB free agency the same way, essentially capping spending with it’s agreed-upon collectively bargained rules. The union leaders & all the players’ agents did NOTHING to significantly raise the salaries of young players, who are the most-exploited & vast majority. That’s why free agents demand overpay contracts, as they’ve been underpaid for so long. I’m okay with the players striking, as long as it leads to more equal pay among ALL players. It’s a team game, and that means actual unity to win. This requires real leadership, which is something you can’t fake . Yesterday JD Martinez was reportedly (per Ken Rosenthal) “frustrated with the pace of negotiations,” but today Scott Boras is “serene and patient” in an ESPN interview. Do you believe any of this? The free agent players are under pressure, as they have to play to get paid. The teams already have players, so they can hold out for the right price. That’s what’s going on. There is no mass player sentiment for a strike, as that trial balloon was shot down with violent reaction from the fans on social media when an agent brought it up a few days ago. How can there be player unity when each player retains their own agent? 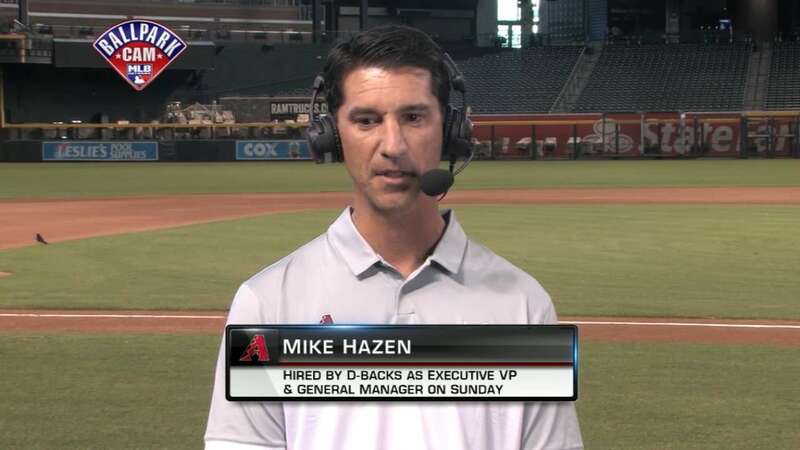 A handful of super agents control all the MLB players, with in the framework of a sellout bureaucratically-run union– the MLBPA. When either Hosmer or Martinez first capitulate (as they must), that will signal the collapse of the free agent bubble, and you will then see a flurry of bargain free agent signings. 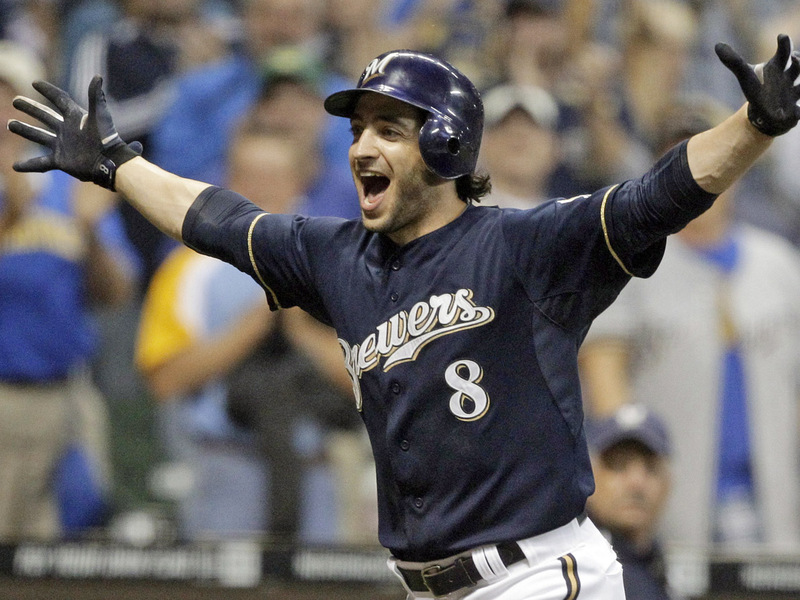 Look for numbers in this range: JDM 4/60, Hosmer 3/50, with only 2-3 year deals for any pitcher. Pitchers & catchers report next week, so it’s about to get busy. This has actually been an amazing off-season to follow, due to it’s uniqueness. 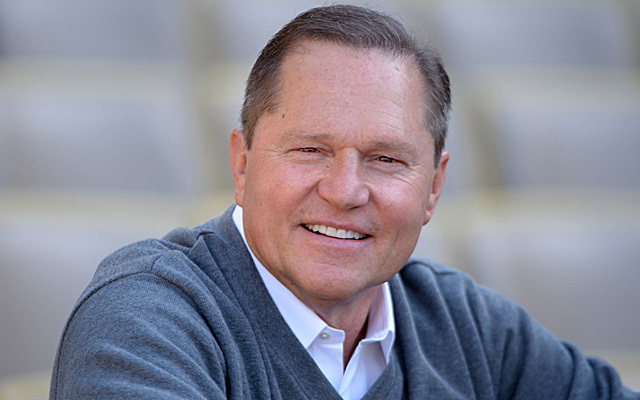 Scott Boras sounds delusional in his analogies, don’t you think ? 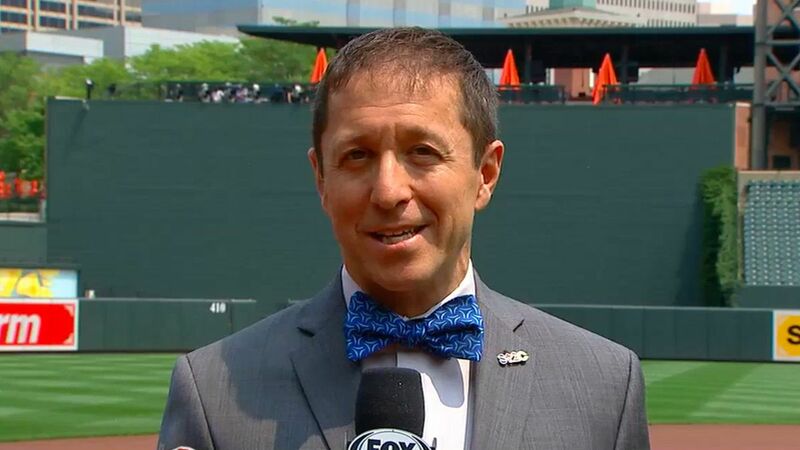 It was Ken Rosenthal who yesterday reported ‘allegations’ of JD Martinez’s “frustrations” in these negotiations, which is really a non-story. Everyone gets emotional when money is on the table, so that’s only natural. 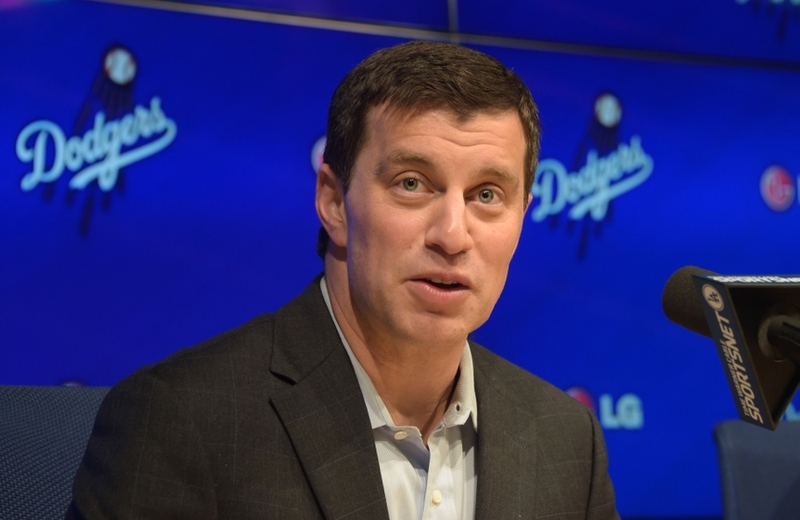 Why didn’t Rosenthal report any MLB front-office frustrations? ESPN bias is against the free agent players, in an attempt to vilify ALL players (even the underpaid younger ones) as greedy & selfish. If no one wanted JD Martinez or Eric Hosmer, then there wouldn’t be all this cyber ink being spilled. Who are these “sources,” and what’s their credibility? I’ve seen online comments that say these things– is that a “source” here? This is speculation and nothing more. Until any of these “sources” can be confirmed with specifics, then there is nothing going on but manipulation. The question becomes: who’s behind this? What’s going on is a factional war, much similar politically to the Trump military fascists (hard-line MLB owners), going off against the Democratic deep state Wall Street-intelligence apparatus (MLBPA & the agents). The minor leaguers & arbitration & pre-arbitration players are the working class, underpaid, exploited, and the vast majority. The sell-out union bureaucracy signed off on this rotten CBA, which now even prevents free-agents from maximizing their value, due to the structure of the deal. No one feels sorry for guys who turn down 7/$140M or 5/$125M deals, but experience told Scott Boras (and all the rest), that was the play. Up until this year, the agents had always been right, and have profited handsomely. Remember, most of these player end up broke, five years after retirement. It’s the agents & networks who stick around to become rich & powerful. So here we are, with pitcher’s & catcher’s reporting in less than a week, with RHP’s Hu Darvish & Jake Arrieta still unsigned. I believe the reports that claim the Brewers & Twins have made offers for Darvish, as he’s more desirable (< risky) than Arrieta. It’s a crapshoot with either, and that’s why so many have stayed away. Most don’t believe either pitcher can hold up, for the money they’re demanding. 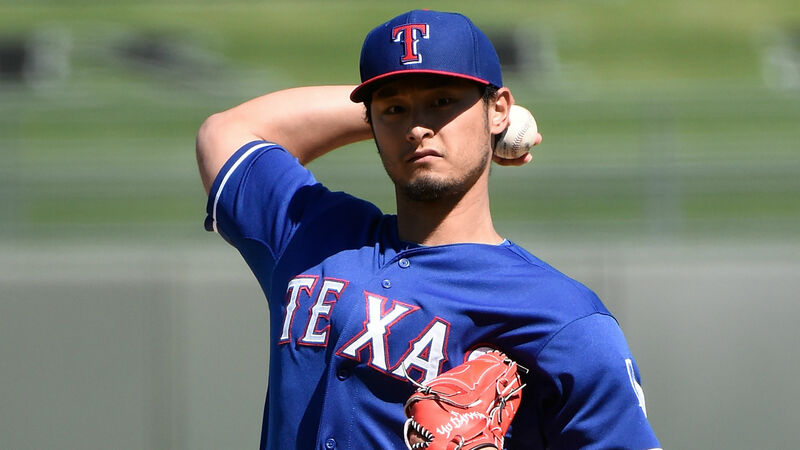 A small market team looking to boost their rotation would love to have Hu Darvish, but the terms need to be fair for the club and their fans. An overpay will cripple either of these franchises. A fair contract, followed by an arm blow-out is another deadly risk. I don’t see anything more than $60M and 3-4 years for either. It could even be less. 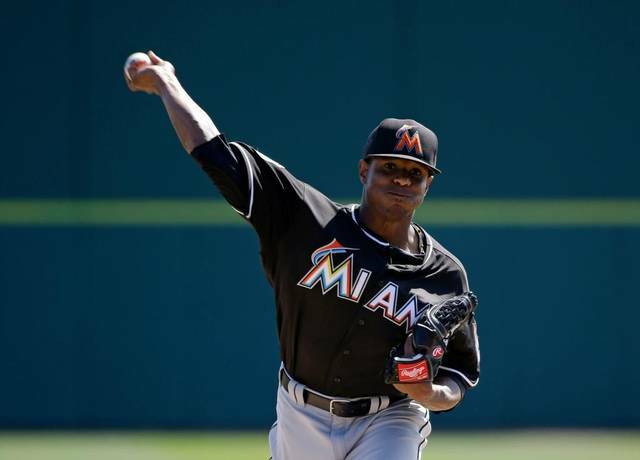 If these pitchers get more, then someone overpaid, and it will hurt– sooner or later. Last year was RHP Jake Arrieta’s age-31 season, where he produced 1.9 WAR while being paid $15.6M by the Cubs. 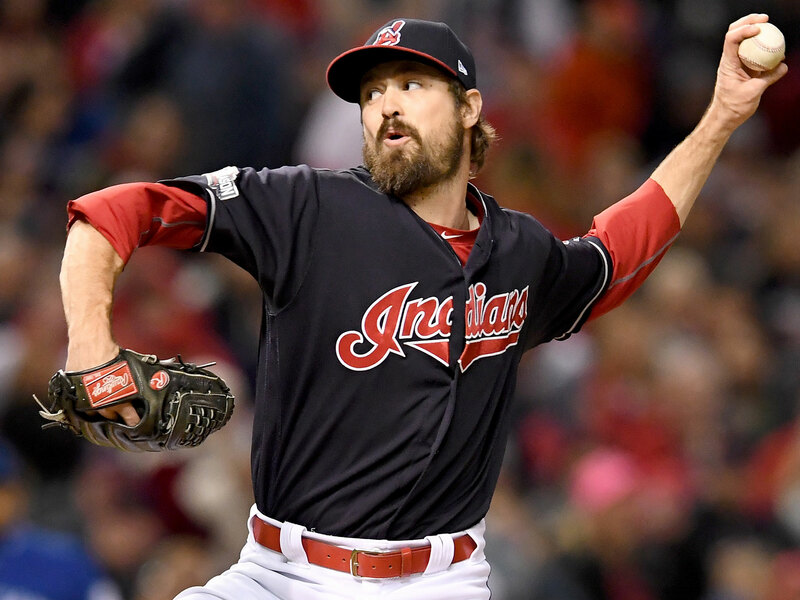 In 2015, he was the best pitcher in MLB, winning the NL Cy Young Award; he made $3.6M that year while being worth 8.4 WAR. This is the problem with MLB contracts. The don’t pay the player what he’s worth, when he’s young & valuable. 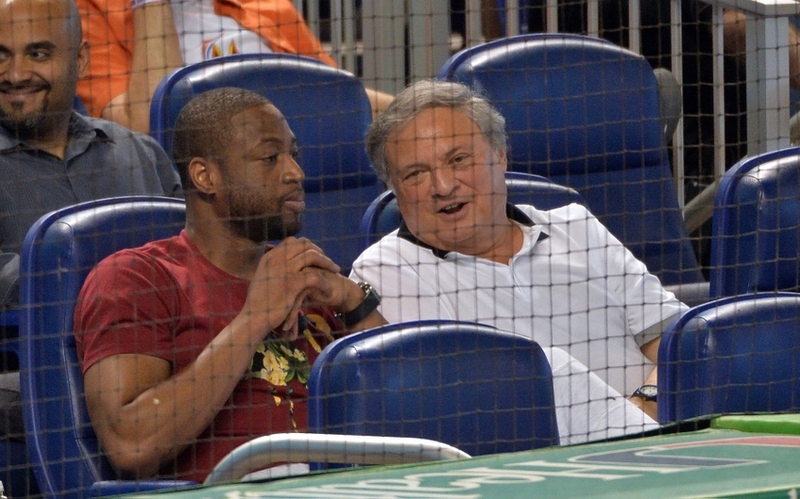 Now the players can’t get paid to make up for it, even in free-agency! Most players never reach free agency. This is the problem with the new CBA, negotiated by the sell-out MLBPA and the influential agents. “Stagnant free-agent market” means no Yankees, Red Sox, Rangers or Dodgers blowing up the bidding. That’s either good or bad, depending on your perspective. Everyone of these listed FA players could help the assigned team in the article above. No question. The rub is: How much do they pay and for how long? On that there is nothing. It will be the camp that no one wants to attend. Will they be selling tickets? Hu Darvish has reportedly agreed to a 6-yr/$126M deal with the Cubs, pending a physical. 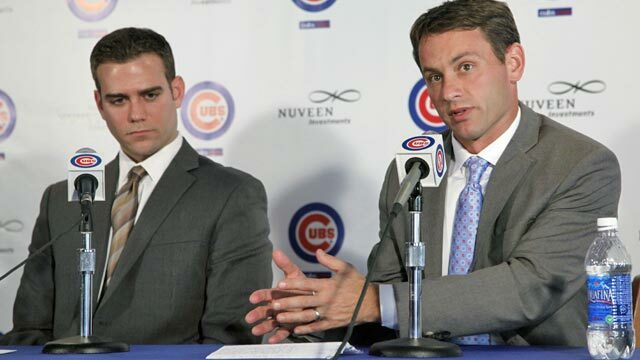 Darvish was the best pitcher available, but it’s still an overpay, because it’s the Cubs. That’s what top pitching costs, even in a depressed market. 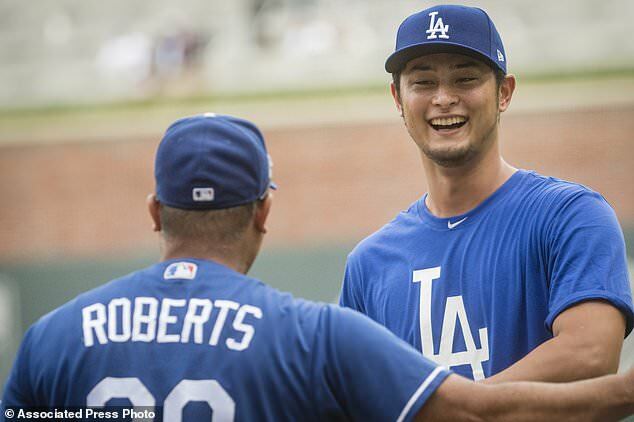 Darvish was traded from the Rangers to the Dodgers in 2017, so he doesn’t have a compensation pick tied to his signing. 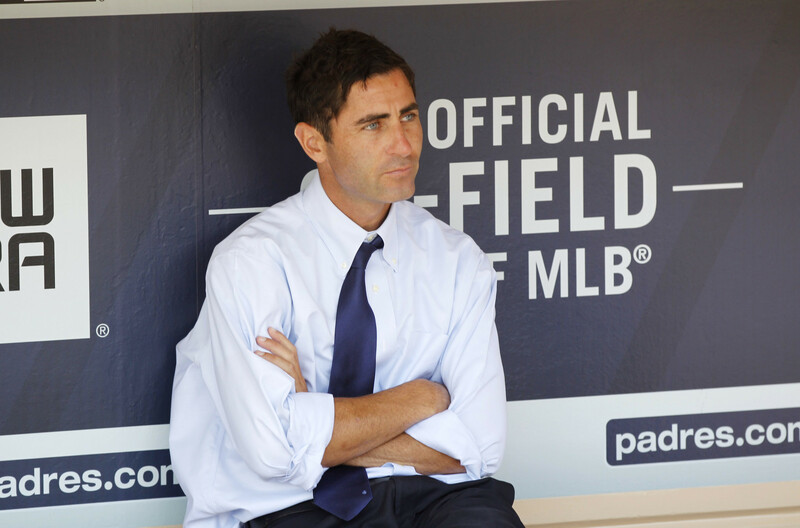 The SD Padres under GM AJ Preller are the most-current example of why we have these new CBA rules. 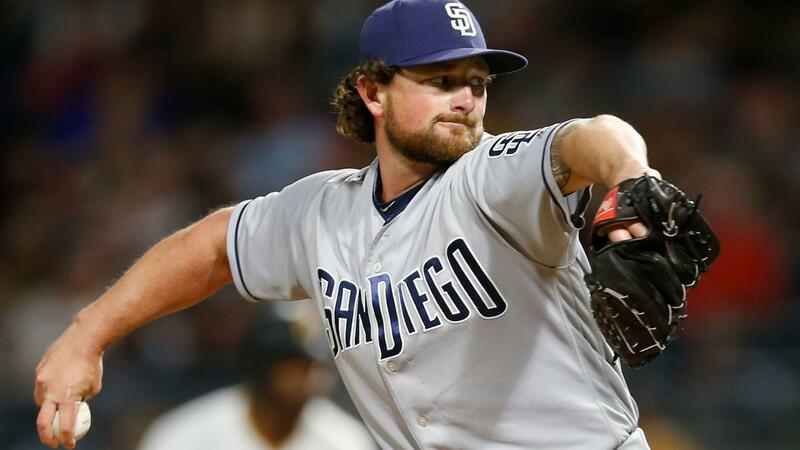 The Padres went into rebuild mode after their 2015 disaster campaign, where they had loaded up on free agents & contract veterans– James Shields, Matt Kemp, Justin Upton, BJ (Melvin) Upton, Craig Kimbrel & Ian Kennedy– and then crashed spectacularly. Preller got busy after that season by trading Kimbrel to Boston for a huge prospect haul. AJP also collected compensation (QO) picks for J Upton & Ian Kennedy. Preller dumped the rest (and ate contract as needed) for whatever he could get in 2016, including SS prospect Fernando Tatis Jr from the White Sox for Shields. AJP even dumped his best organizational players, in sending RHP Andrew Cashner to Miami, and LHP Drew Pomeranz to Boston. 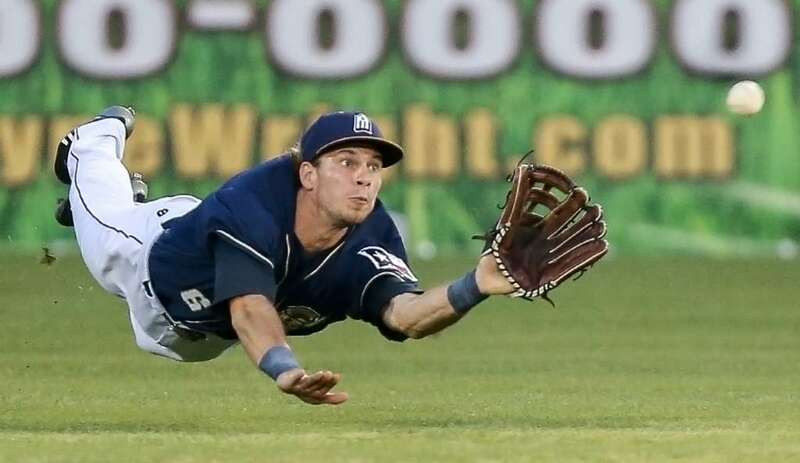 The Padres finished 4th in the NL West in 2015, and last 2016– netting high picks in all the drafts (Amateur, Rule 5 & Intl), and used them to their advantage. 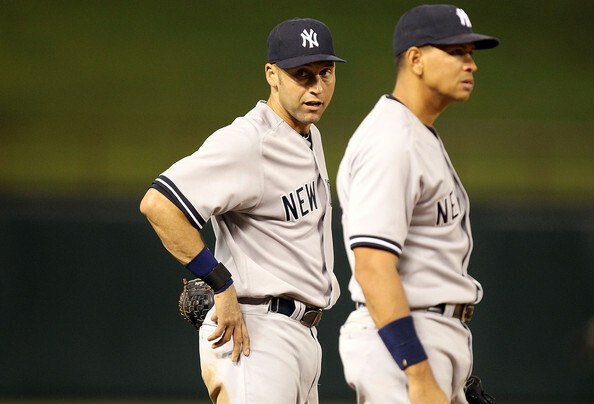 Example: carrying five Rule 5 players in 2016 & 2017 combined! AJP then broke the bank on the International draft in summer of 2016, spending ~$75M in acquiring a once-in-a-lifetime bounty of young talent. That provoked all the CBA rules changes, to which the players, MLBPA, and agents have yet to figure out. 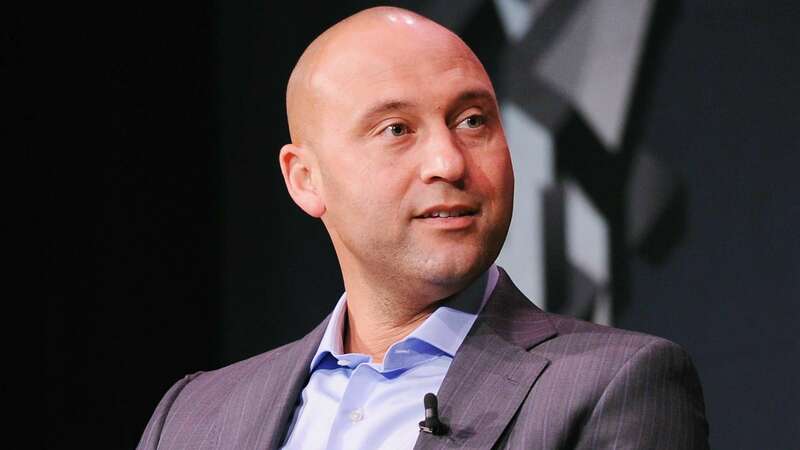 It has been this author’s contention that a handful of super agents led by Scott Boras have been able to control the players’ union and manipulate MLB GM’s, to inflate the value of free agency– for decades. 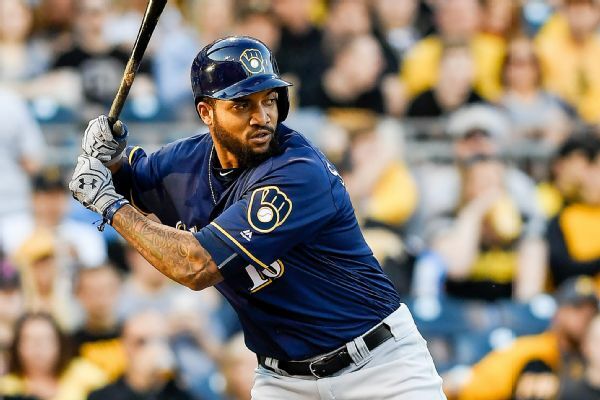 Now the market has come down to Boras, as he holds the top remaining pitcher– Jake Arrieta; along with the top remaining position players in: OF/DH JD Martinez, 1B Eric Hosmer & 3B Mike Moustakas (age 29, career: .251/.305/.425)– whom the Yankees would like at the right price. This is where the market will set, and it’s anyone’s guess as to whom among them will sign first? 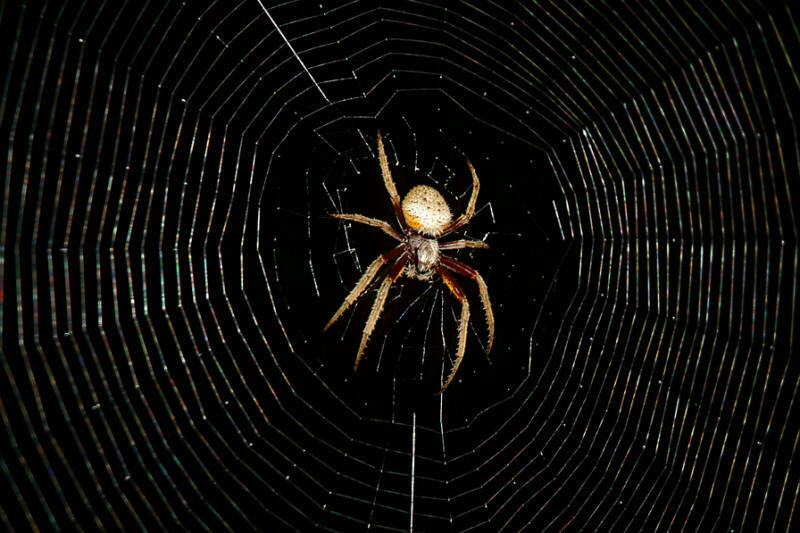 It will be a shocker to many (I can assure you), and a bloodbath from there on… Stay tuned! Tony Clark and the agents need to make a statement on this. What if a player gets seriously hurt in this free -gent camp? Who will pay for that player’s treatment and rehab? Why are they here in the first place? 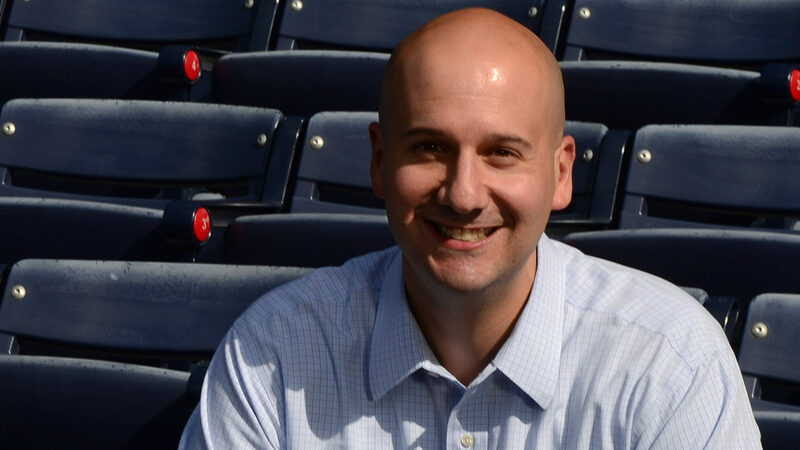 Why all the secrecy from the MLBPA? Is it because these are tough questions they can’t answer? 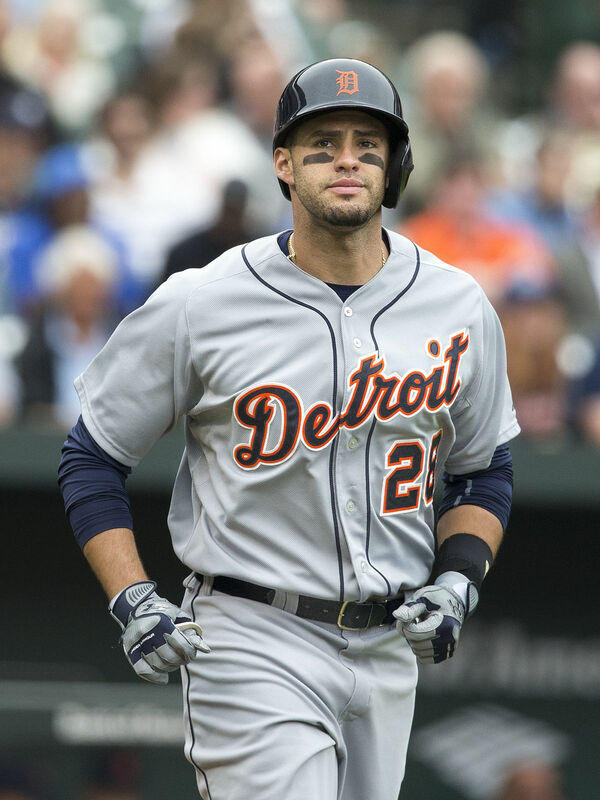 Did anyone notice the price tag on JD Martinez has just been dropped?! That’s down from 5/$125M, which has been the number MLB has “reported” all off-season. There is no other team interested in Eric Hosmer, as the Royals don’t want him back. He not going to sit the season out. Eric Hosmer has to play somewhere, and San Diego is the only fit. 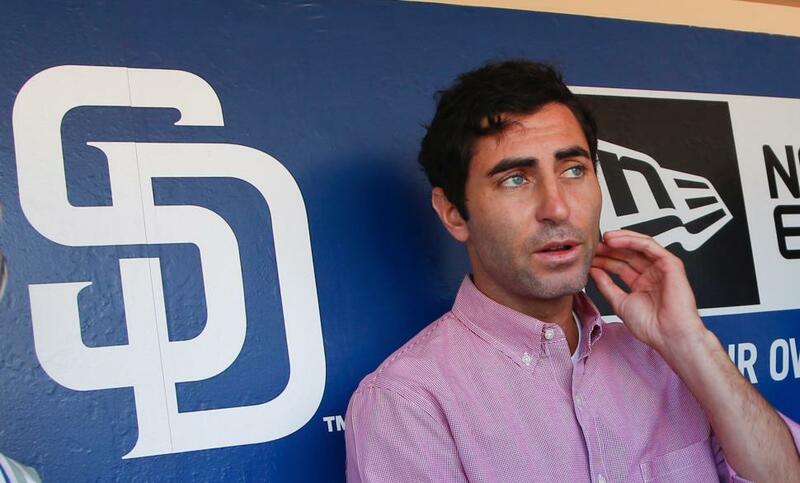 AJ Preller will wait as long as he has to, for Boras & Hosmer to give in. This article is a message to them, the Padres have a contingency plan they can go with if they don’t sign him, which give them extra leverage. I put the chances of the Padres getting Hosmer at over 80% at this point. The contract length will be 4 years max, and no more than $75M. It’s now officially 5/$100M from Boston for Martinez, with no other bidders. The D-Backs can’t afford JD Martinez, with RHP Zack Greinke & 1B Paul Goldschmidt on the payroll already, as they are not a top-10 revenue club. The price for these remaining free-agents will continue to drop, unless other teams get serious, which doesn’t appear will be the case. That’s how this free-agent market is not working. This is a shamefully obvious Scott Boras propaganda piece for 3B Mike Moustakas by Richard Justice. No mention that the Cardinals already acquired a major bat this off-season in CF Marcell Ozuna. What the Cards need is young starting pitching– like everyone else, not an aging & expensive closer in Greg Holland. 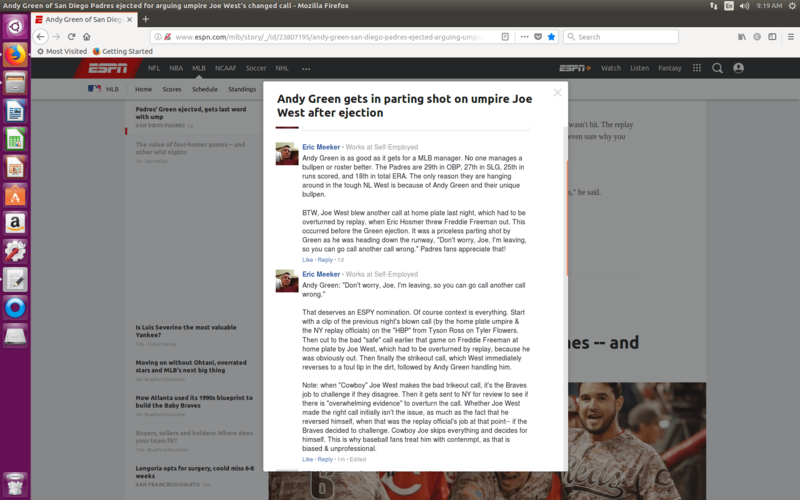 Lazy & deceitful sports journalism from ESPN & MLB– all down the line. 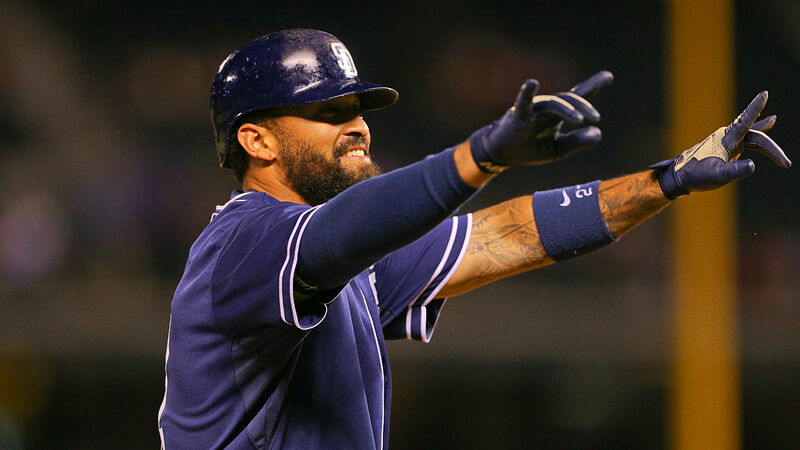 The best free-agent position player signed with the Padres (8 yrs/$144M). When have you ever read that? This team is going to be competitive much sooner than people believe. 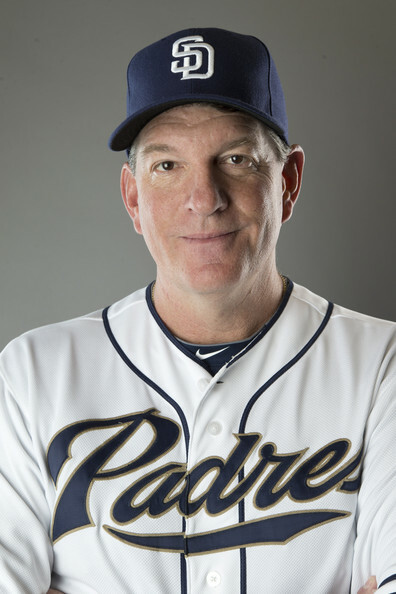 I’ve seen prognostications for the Padres getting a few as 67 wins this season, which is silly & lazy analysis. This team will approach 80 wins in 2018, and be ready to compete for a WC in 2019. The Padres got the player they needed. As far as the contract numbers go, it’s hard to tell how it will all shake down with the opt-out (after the 5th year) and limited no-trade protection (after 3 years). Hosmer gets $20M for the first 5 seasons, the $13M for the last three. There is a $5M signing bonus, all totaling $144M. This deal doesn’t break the Padres, and gets them the OBP and improved defense they desperately needed. I can see AJP dealing Hosmer after the 3rd or 4th year. 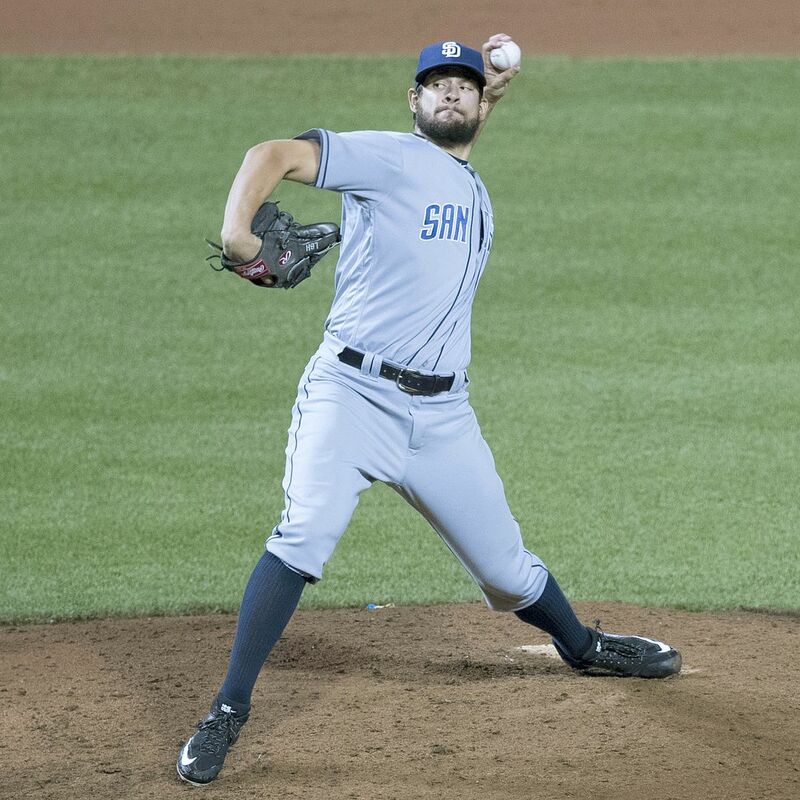 The Padres can hold on to Hosmer (if he’s aging well), and still trade him later if necessary, because his contract doesn’t balloon at the end. That’s the problem with albatrosses. Injury is the most significant risk for the Padres here. 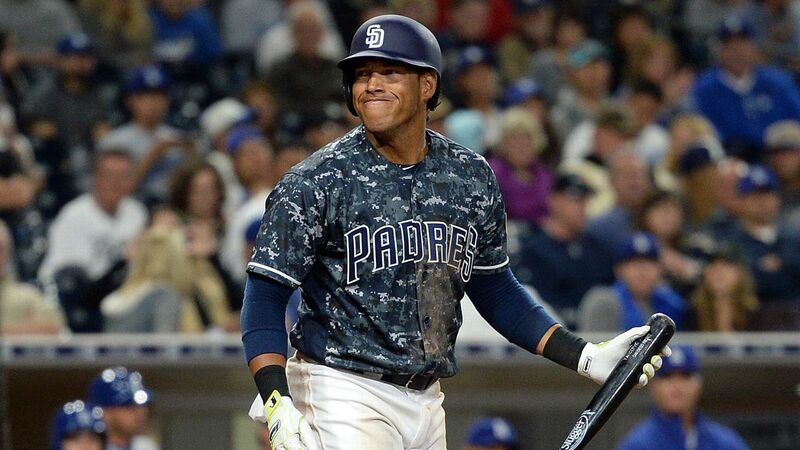 Good day for Padres fans, as this was a bit of an overpay, but not a franchise back-breaker. They lose their third pick in the upcoming June amateur draft, which goes to the KC Royals as compensation. If the Padres had been picking outside the top-10, this contract would have been for less money, as the Padres would have been forced to forfeit their 1st-round pick– which is much more valuable. You KNOW there was tough negotiating on all sides, as a whole lot of issues are in play, These are highly-intelligent & competitive people involved. 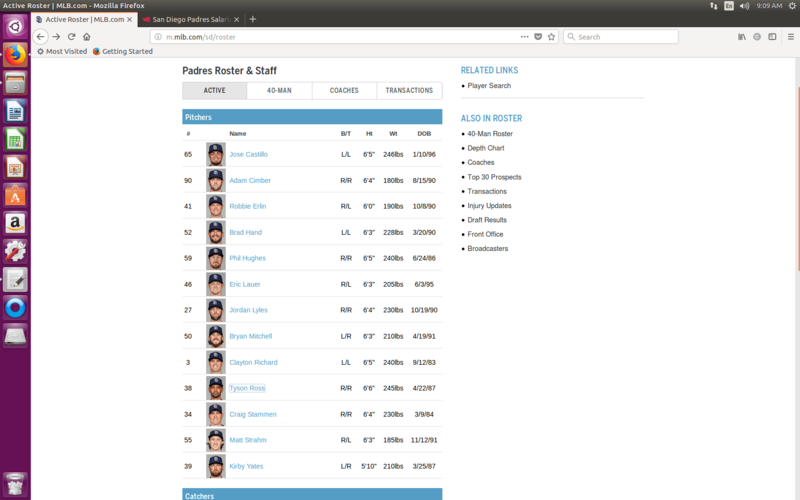 Now the Padres have their 2018 lineup, and their fans are happy because it’s a whole lot better! Everyone loves baseball again, how nice! Look for the top pitchers: Arrieta, Cobb & Lynn to go next… Then it’s one-year and even minor-league deals for most of the rest. Owners and GM’s have gone with youth over expensive veteran players, so many won’t even get a guaranteed contract offer it appears. Major CBA disaster for the players, that’s the off-season lesson in MLB. 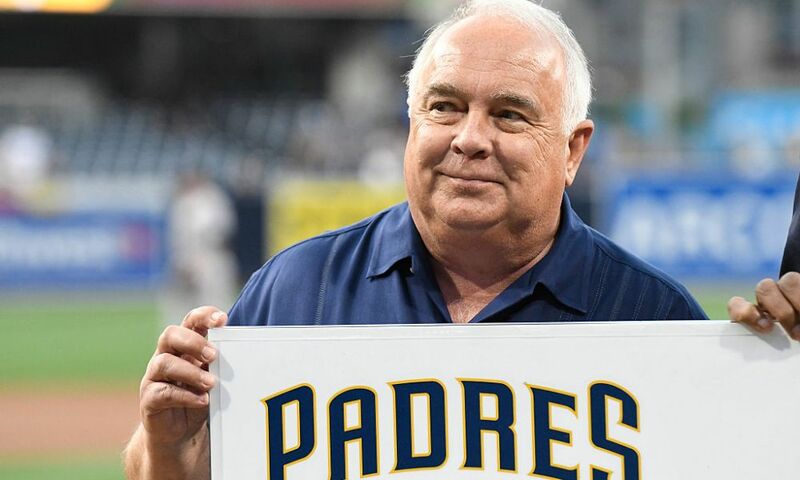 Padres 2018 Opening Day line-up: CF Margot (R), 3B Headley (S), 1B Hosmer (L), RF Myers (R), LF Renfroe (R), 2B Asuaje (L), SS Galvis (S), C Hedges (R), LHP Richard. That’s a measurable improvement in OBP & L/R balance. The power is there too. If Myers & Renfroe can put it together, this lineup will be a monster for years to come. 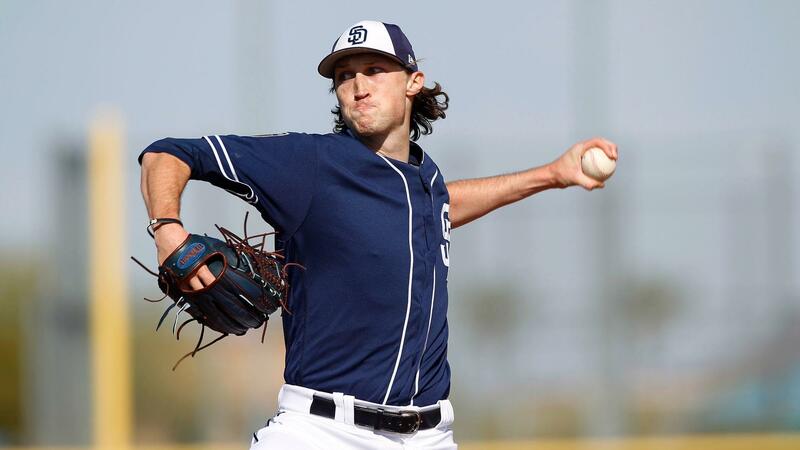 Padres starting pitching is still too mediocre (and right-handed) to be competitive. When it comes to making the post-season and winning, it’s all about pitching. 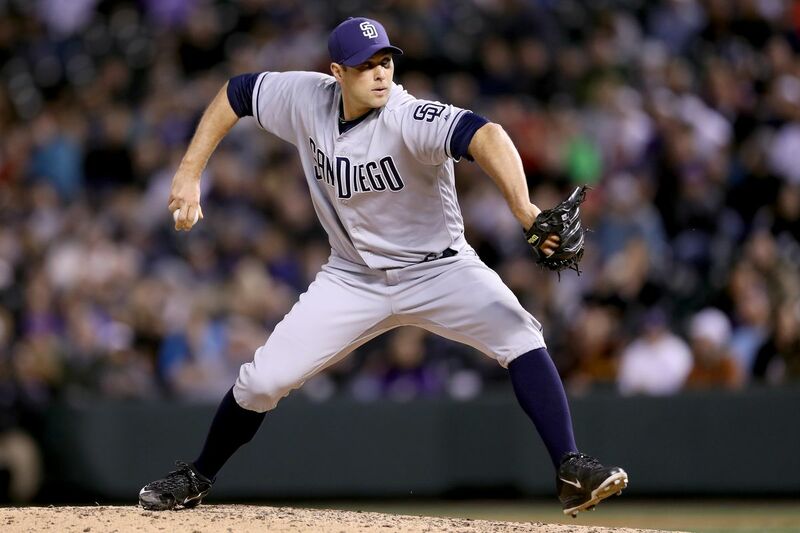 Clayton Richard & Robbie Erlin are the only lefty starter options for the Padres. This team can’t contend without better frontline starters, especially lefties. Their bullpen is solid, with LHP Brad Hand signed for the next 4 years, instead of traded away like all the ‘experts’ predicted. I predict 81-81 for the Padres in 2018. Consider that AJP filled (or upgraded) every positional hole this off-season, and almost pulled off landing ace RHP Shohei Ohtani! 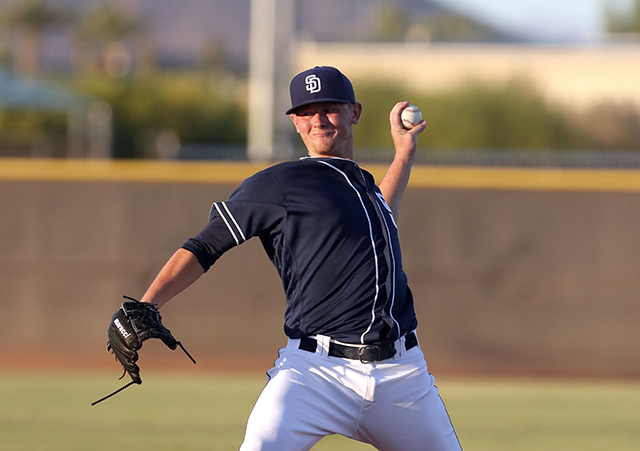 Since Ohtani went to the Angels, Padres fans will have to wait another year for their top young pitching to arrive. Every GM wanted to get at AJP’s prospects, and the only thing he dealt was RHP Enyel De Los Santos (minors) in the Freddy Galvis trade. 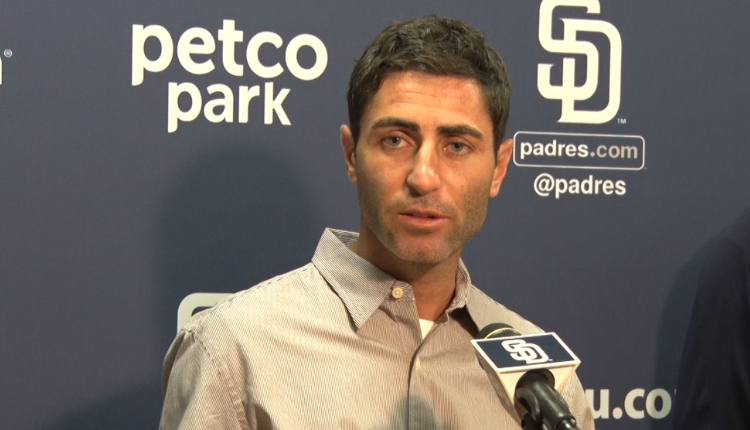 AJ Preller also picked up a back-up catcher (AJ Ellis) and possibly a #2 starter (RHP Tyson Ross) on minor league deals. That wins the off-season for efficiency & brains, and only the Angels can rightly claim they did better than the Friars. The market for free agent starters: Jake Arrieta, Alex Cobb & Lance Lynn will now take shape and consummate. 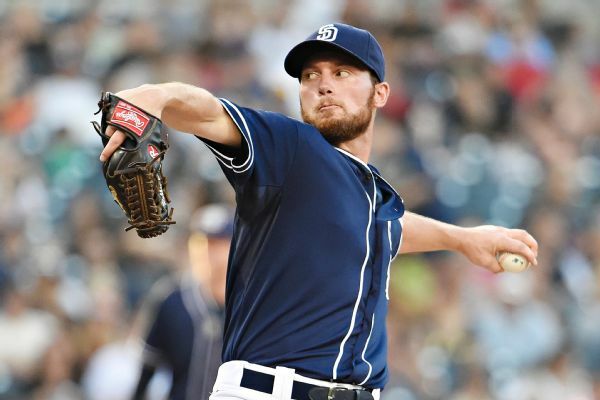 All are probably too expensive for the Padres– and the rest is junk. There is nothing among this trio better than a #2 starter, and it’s high risk– especially with Arrieta. Lynn & Cobb are solid but more like #3 starters on championship teams. Luckily, AJP did a nice job stockpiling cheap arms over the winter, among his other activities, so he won’t be tempted to overpay for mediocrity. The simplest rules in free agency are: 1) don’t over spend, 2) and sign the right guy for your needs. The Padres did both here, so it’s a successful off-season for them. 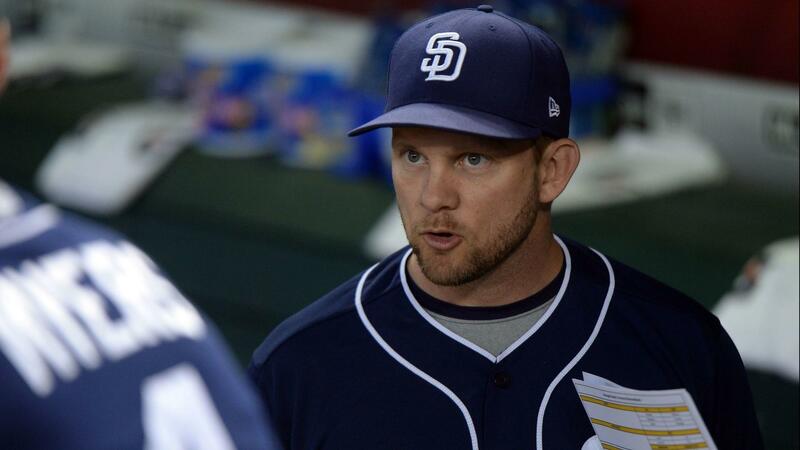 The Padres needed a stabilizer in the middle of their line-up, as well as a team leader. Eric Hosmer provides that, as Wil Myers wasn’t the guy for that role. That’s a wrap. Over & Out on this free agency season. 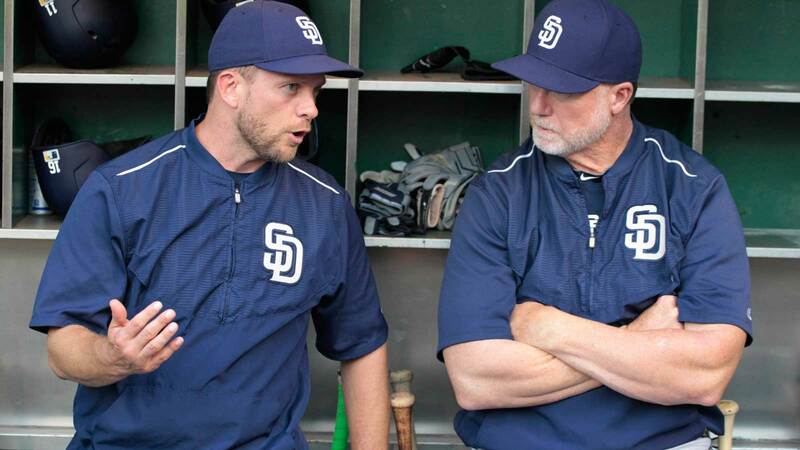 Padres manager Andy Green really needs a reliable long man out of the pen, and Buddy Baumann (5.1 IP, 6.75 ERA, 1.688 WHIP) wasn’t the answer. Plenty of reasons to be skeptical on Brandon Morrow being effective again, but at this point it’s try anything. Jared Cosart vs. Mets (ND) 6 IP, 3 H, 1 R, 2 BB, 2 SO; 89 pitches, Padres committed 3 errors behind him. Jacob deGrom was a little better. Mets rallied for a run in the 7th inning, off young Padres reliever Jose Dominguez. Brandon Morrow pitched a 1-2-3 8th inning in his 2016 debut. Jeurys Familia brought in to close it out, but 1B Wil Myers homers with 2 outs, tying it at 2-2. Bullpen wars until the Mets manufacture a run in the 11th, winning 3-2. Padres starting pitching is already scary bad, keeping in mind that Perdomo & Friedrich need to be shut down by September, or so. 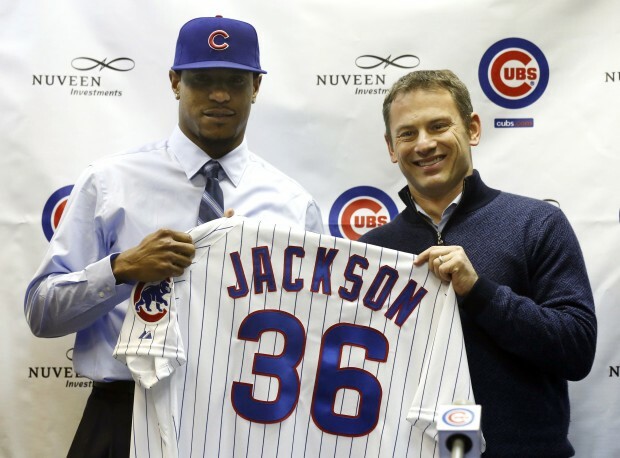 Edwin Jackson may well end up as their second-most valuable starter (after Drew Pomeranz– traded to BOS) when the season is over. 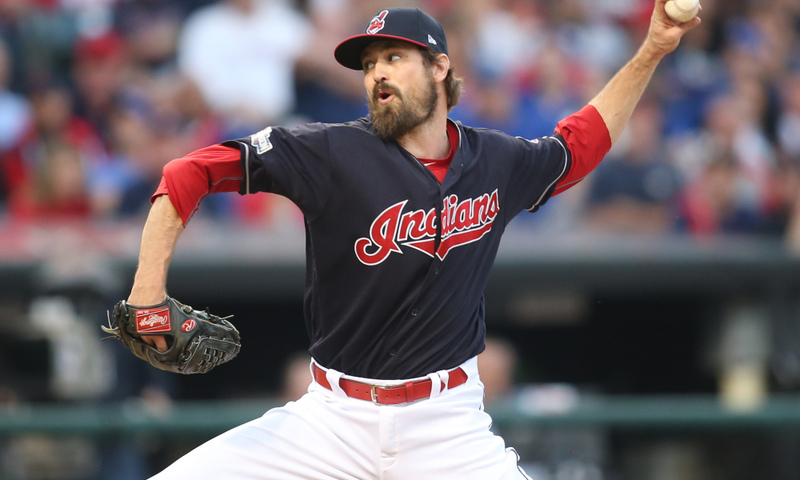 Cubs are paying the last of his 4/$48M deal, which is nice. 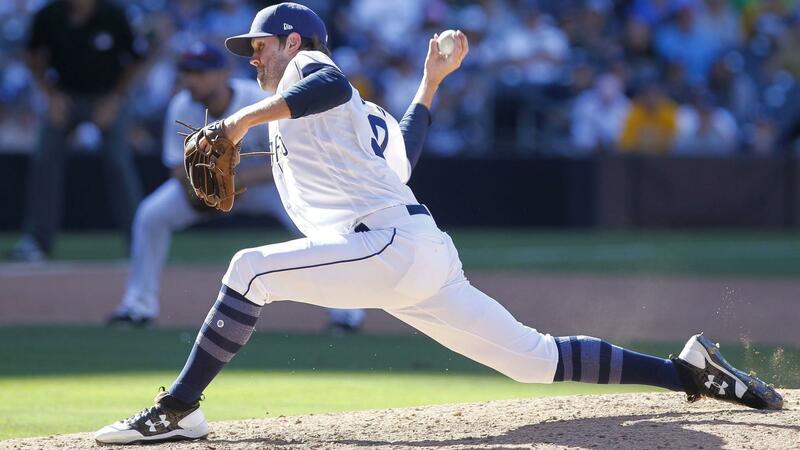 Jared Cosart is the intriguing project for Balsley & Green, so Padres fans are looking (hoping) for improvement. He’ll be in the 2017 rotation mix. 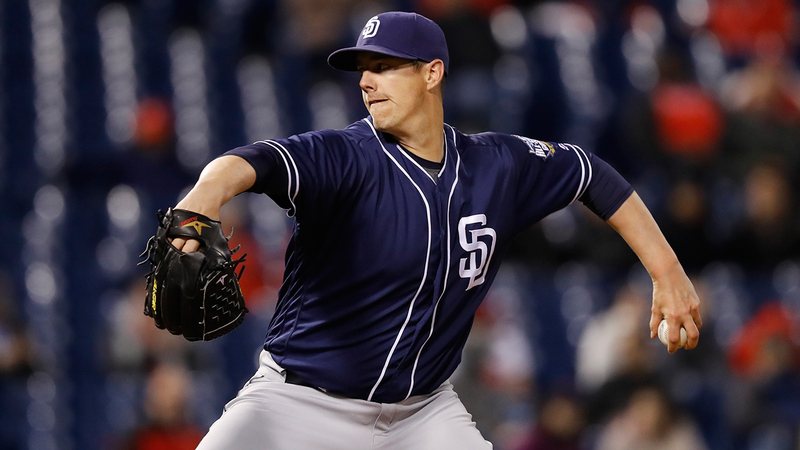 Paul Clemens is a long-shot at best, but the Padres are happy to have him. Clayton Richard is a usable arm to help finish this season, while reducing the workload on their young starters and relievers. Righty set-up men Brandon Mauer & Jose Dominguez, and lefties Ryan Buchter (pictured above) & Brad Hand are valuable bullpen pieces. They also can’t be overworked. 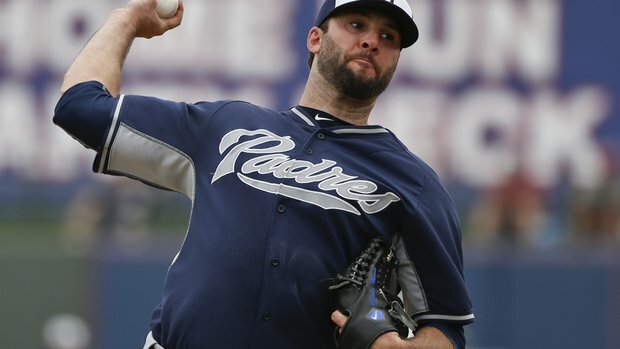 Brandon Morrow (and his like) are on the active roster to get the Padres through the season, so later effectiveness & health aren’t compromised in these young relievers. 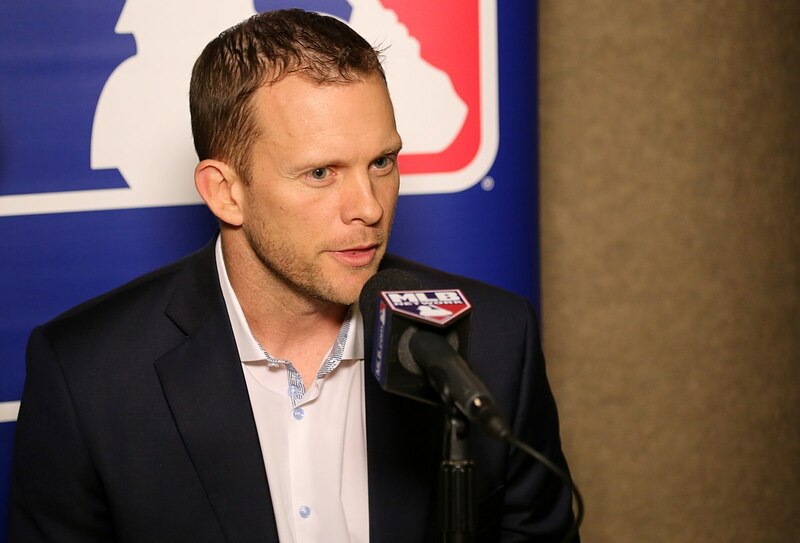 GM A. J. Preller & Andy Green have a lot more pieces in place, compared to one year ago. They just need to protect their young arms, and develop a few more. 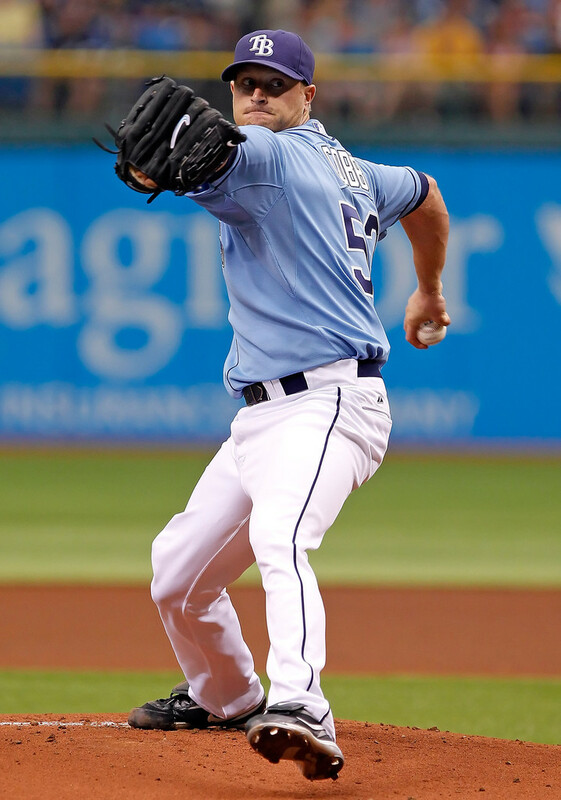 Andrew Cashner tonight 5 IP, 9 H, 4 R, 5 BB, L to CWS. In 16 1/3 innings since joining the Marlins, Cashner’s ERA is 6.61, allowing 22 hits and 12 earned runs. Next it’s James Shields against the Marlins; so far 3-7, 6.62 ERA in 62 IP for the White Sox. [see results above] Drew Pomeranz 0-2, 5.26 ERA in 5 starts, 25.2 IP for BOS. 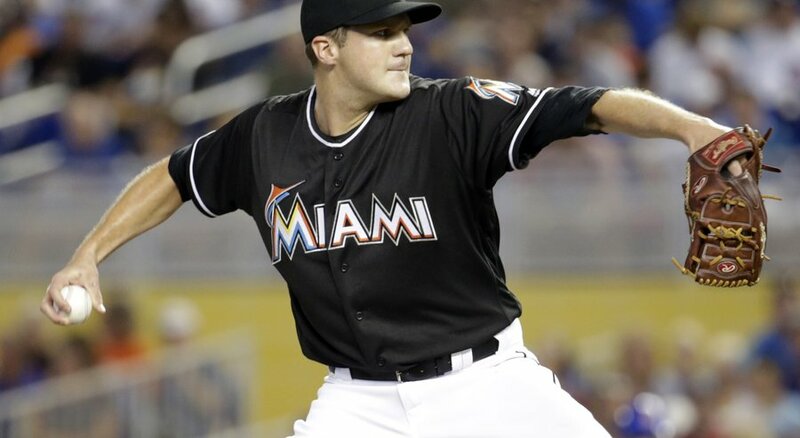 Fernando Rodney 1-2, 5.40 ERA 18,1 IP has also been a disaster for the Marlins bullpen. 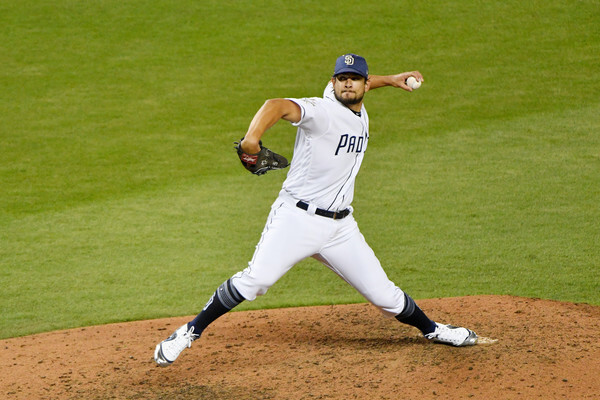 The waivers pick-ups (Edwin Jackson & Paul Clemens) have been better pitchers for the Padres. 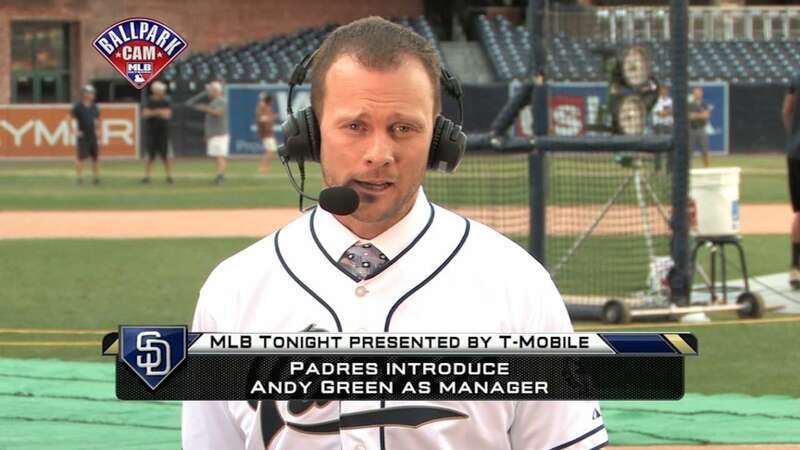 Nice work by Padres GM A.J. 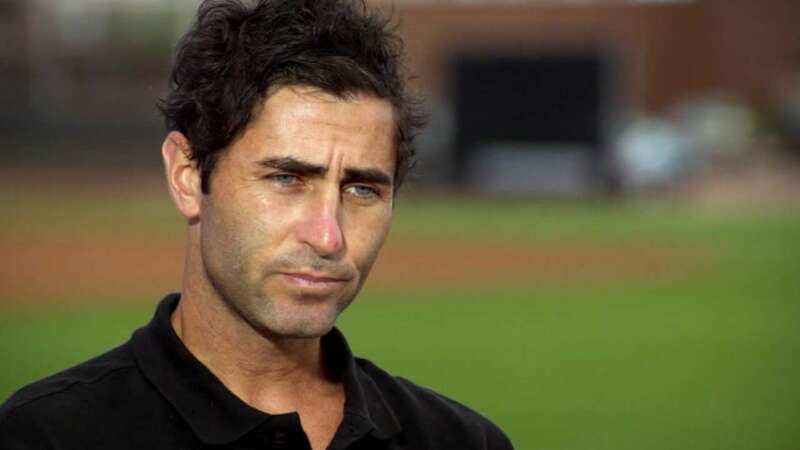 Preller, who has scraped up enough starters (three from the Marlins: Jackson, Clemens & Cosart) to get his young arms through the season, while maximizing their development. If he needs more, he’ll find them. 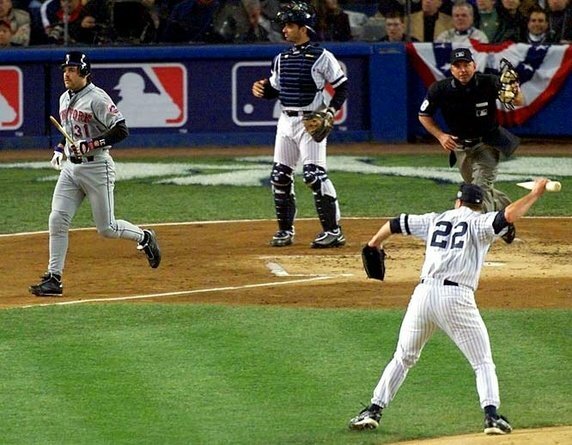 Padres have Clemens going for them tonight at Citi Field. Game on, Mets fans! 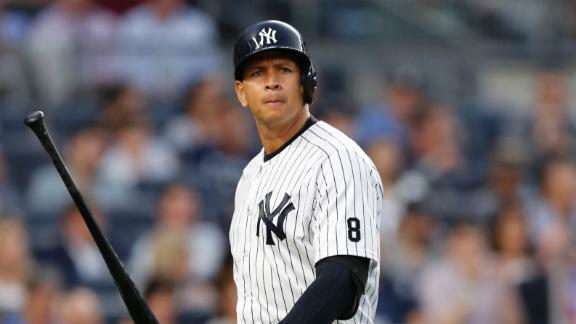 Alex Rodriguez is to be DFA-ed by the Yankees, next Friday (8/12) at Yankee Stadium. 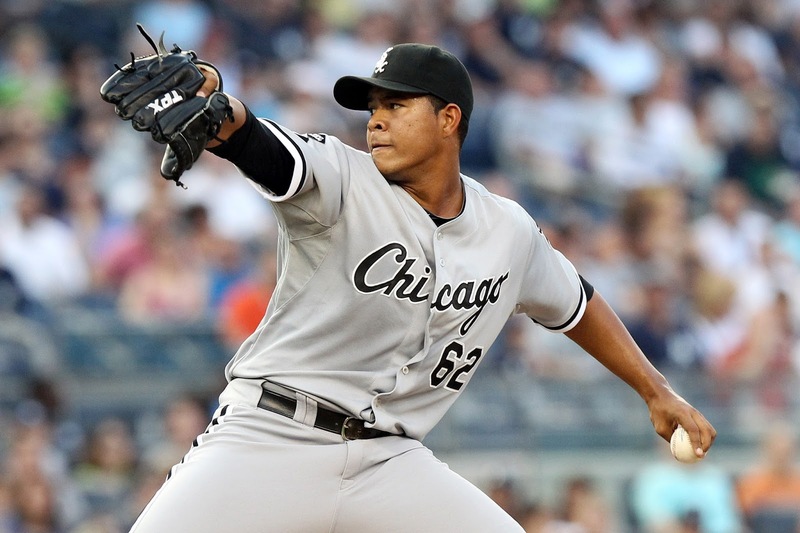 Yankees eat ~$27M remaining on his deal through 2017. 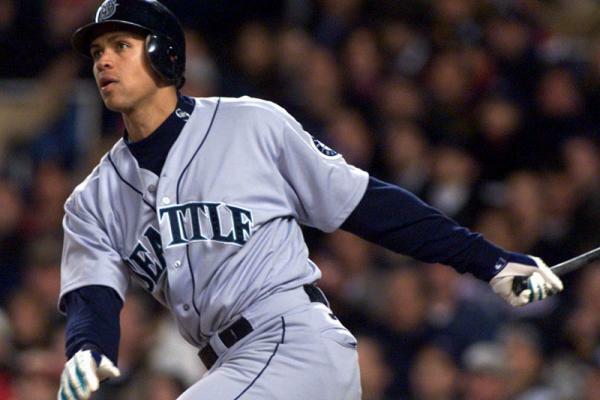 Baseball fact: Alex Rodriguez (22 seasons: .295/.380/.550) was the greatest SS in the history of the game, and easily one of the 5-best players ever. He likely used PED’s because he never truly believed in himself, which is tragic. 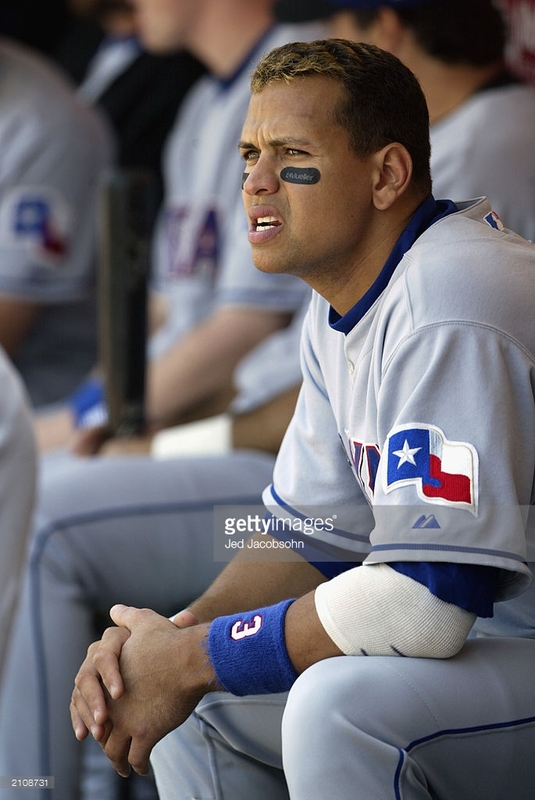 As far as valuing Alex Rodriguez’s career, his best years were with the Mariners (1995-2000) & Rangers (2001-2003), because he played SS. 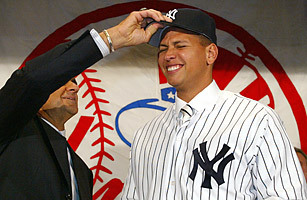 The Yankees could not have won it in 2009 without him. 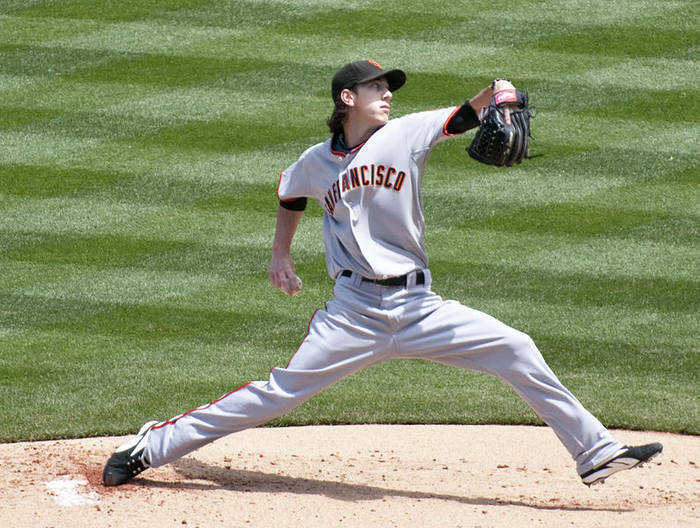 It also looks like the end for RHP Tim Lincecum. Some injuries are career-enders, and his hip injury was one of them. 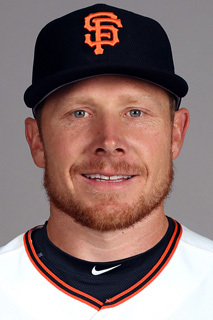 ‘The Freak’ was awesome with the Giants, and baseball fans are happy someone (Angels) gave him another chance, but he can no longer generate the necessary torque & velocity, so it isn’t going to happen. 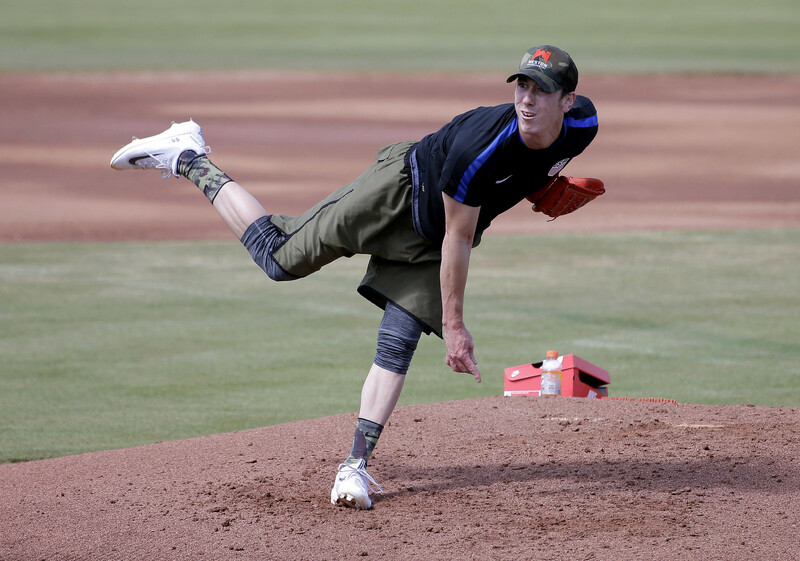 Tim Lincecum’s 10-year career (9 w/ SFG), included: 2 Cy Young Awards, 4 All-Star selections, and pitching on 3 World Series-championship teams (2010, 2012 & 2014). 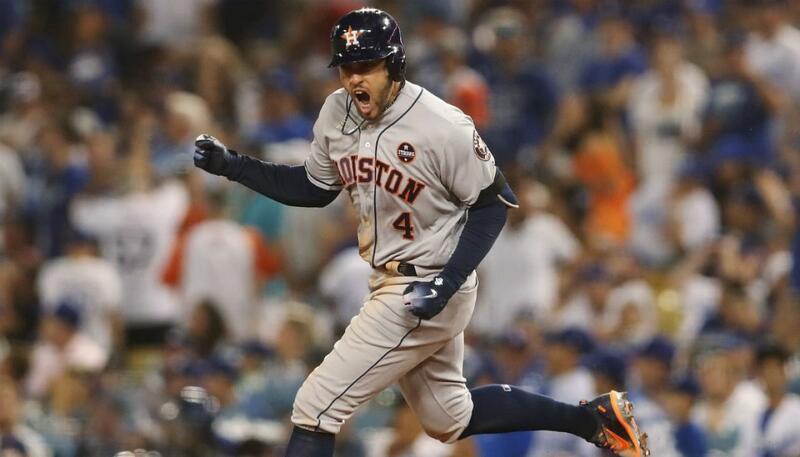 He is listed at 5′ 11′, 170 pounds; and stood as an inspiration for normalcy in a PED-driven sports world. 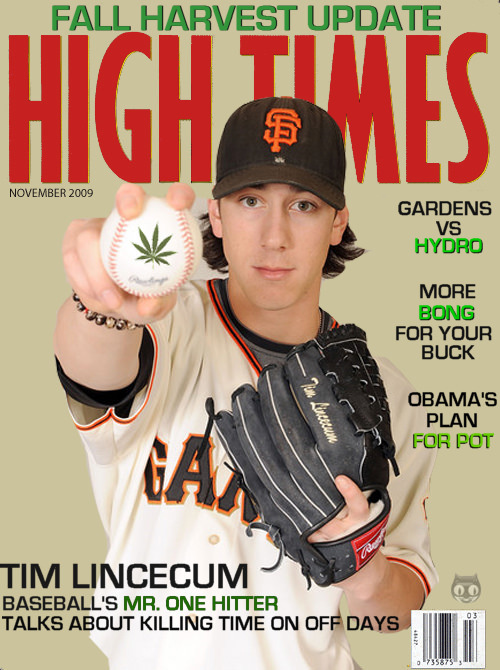 Of course, Lincecum is notorious for smoking marijuana, so conventional PED ethics & results now become further blurred. 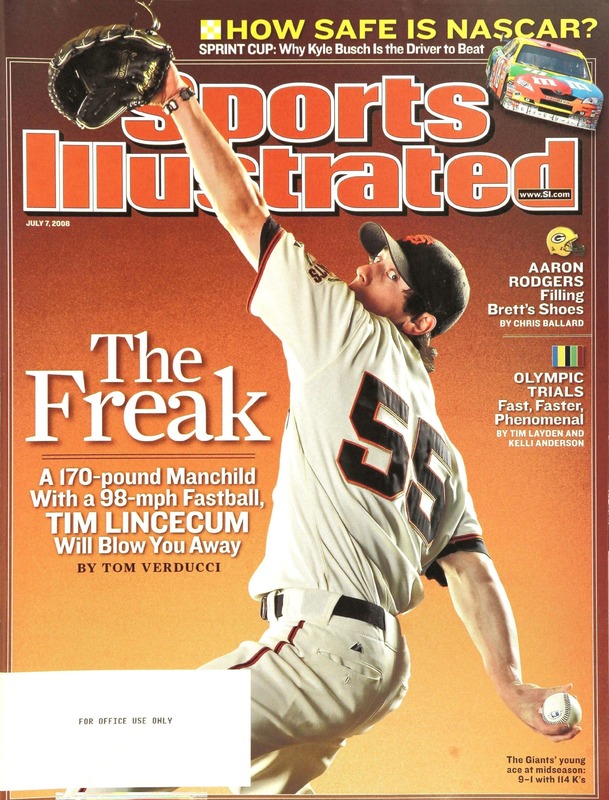 One last note on Tim Lincecum; the best mainstream article (I’ve ever read) on pitching was Tom Verducci’s “How Tiny Tim Became a Giant” in 2008. Consider it essential reading for any serious baseball fan .